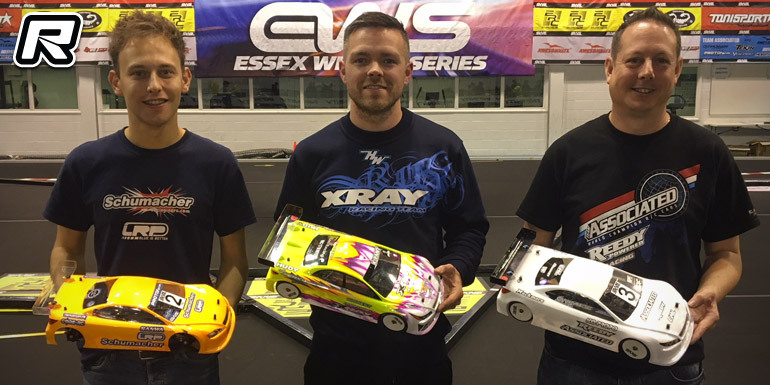 The second round of the 2017/2018 Essex Winter Series took place this weekend at the usual indoor venue in the south-east of the UK. Another fully booked out meeting saw the 110 entries greeted by a band new carpet, identical to that used successfully at the ETS race in Vienna just one week before. In the Modified class, the winner of the opening round of the championship, Olly Jefferies, was looking to continue to build his championship lead – but he was going to have his work cut out as Schumacher’s Elliott Harper set the pace in the opening round, one-and-a-half seconds quicker than Olly’s Xray. Harley Eldridge, no longer classed as a junior this season, took her Yokomo to third in the round, ahead of Olly’s team-mate Alexander Hagberg. Q2 saw Olly respond, beating Elliott by one second, with Harley and Alexander again in third and fourth respectively. The penultimate round saw Elliott move back to the top, setting the fastest run so far and setting up a final round shootout for pole position. 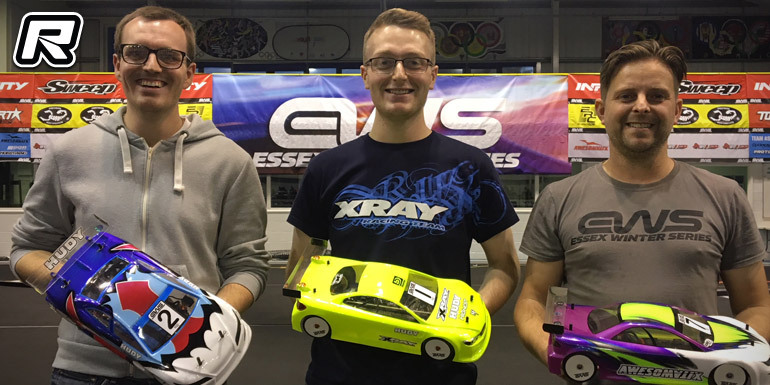 Olly was again second, with Team Associated’s Chris Grainger taking third in front of the Capricorn of Kyle Branson. The final qualifier saw Olly back on top, and crucially taking the tie break thanks to a run two seconds faster than Elliott was able to manage previously. Chris’ form continued to improve, as he pipped Elliott to the second fastest time, with Alexander taking fourth in the round and Harley fifth. This meant Olly extended his championship lead with his pole position points, lining up ahead of Elliott, Chris, Harley and Alexander. The single leg A-final saw Elliott sticking with Olly from the start, as the cars circulated pretty much in grid order. The front two pulled a small gap on Chris, who was left in a rather lonely third place as Alexander spent the first three-and-a-half minutes desperately trying to pass Harley. However Harley held her ground and the former 200mm IC World Champion could find no way past. This allowed Chris to pull away slightly, and Kyle Branson and Alan Bickerstaff to close on the battle for fourth. Alexander tapped the rear of Harley’s car, putting her into a spin. Sportingly, he did the right thing and waited for her to recover, but this meant allowing Kyle and Alan through and into fourth and fifth. Out in front, Elliott kept Olly honest but never got close enough to be able to line up a passing move. Olly therefore took home his second perfect score from the two events so far, with Elliott and Chris completing the podium. In the Super Stock class, Tony Broad set the opening pace, three seconds in front of Round 1 winner Zak Finlay. Ashley Wiffen, Marcus Askell and Richard King rounded out the top five, with just a few seconds covering them and showing how close and competitive the class was again going to be. Tony backed up his opening pace by again setting the fastest time in Q2, with Zak halving the gap to 1.5 seconds this time. Ashley was third, with Ricky Copsey moving into fourth ahead of Richard. Tony could therefore wrap up pole position in the third qualifier, but a mistake half way through took him out of the race and allowed Zak to take the fastest time, ahead of Ashley, Ricky and Marcus. The final round saw Zak with an improved pace, setting the best time so far to secure the overall Top Qualifier honours. Ashley pipped Tony for second to secure third overall in front of Ricky and Marcus. In a similar story to the Modified A-final, the top two led the field away and opened up a lead on the field. Tony kept the pressure on Zak, but again in similar fashion to the Modified class, wasn’t able to line up a pass anywhere. Behind, some close racing and a few incidents resulted in a few penalties from the race referees, and allowed Richard King to come through from seventh on the grid into a podium position. As the race entered the closing stages, Zak and Tony caught the pack to put a lap on them, but with four cars battling for position, they were just as focussed on not losing time as letting the leaders through. This allowed Tony to close right onto Zak’s bumper for the final two corners, but Zak kept his cool and Tony just behind him, to take victory by a few tenths of a second. Richard King, the chief architect of the EWS tracks, took the final podium place – his first in EWS’s seven year history and well deserved. 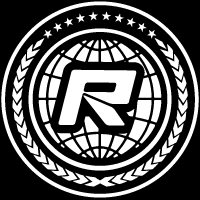 Next up for the EWS team is the EWS International, that takes place on 8th to 10th of December, where the UK drivers are set to battle with some of Europe’s best, including Marc Rheinard, Ronald Völker, Christopher Krapp and Max Mächler.